So this morning I woke up to… SNOW! Even though snow was in the forecast I didn’t think we’d actually get any since it’s been in the forecast as of late and well, we haven’t gotten any. I do love me some snow though so I’m not complaining! Despite our random snow flurries, I am starting to crave spring! I keep looking wistfully into my closet wanting to wear dresses, skirts, capris, flats, and open-toed shoes, and all types of floral patterns and bright colors, but then every time I try to wear them, the temps suddenly drop and we end up with snow. But there are some days where you just say to heck with it and go for that spring look anyways. Am I right? Something about this beautiful spring green skater dress was calling my name and I had to wear it. It’s so bright and cheery for a winter day, and seems to just put a smile on your face! The other thing that puts a smile on my face? A bicycle. I love anything to do with bike riding, from cycling to spin class, so put me anywhere near these type of two wheeled contraptions and I’m as happy as a clam. This beach cruiser bike reminded me of summer weekends riding along the beaches at Ocean Shores enjoying the salty air and beachy breeze. Can’t you just tell I’m starting to long for spring and summer? 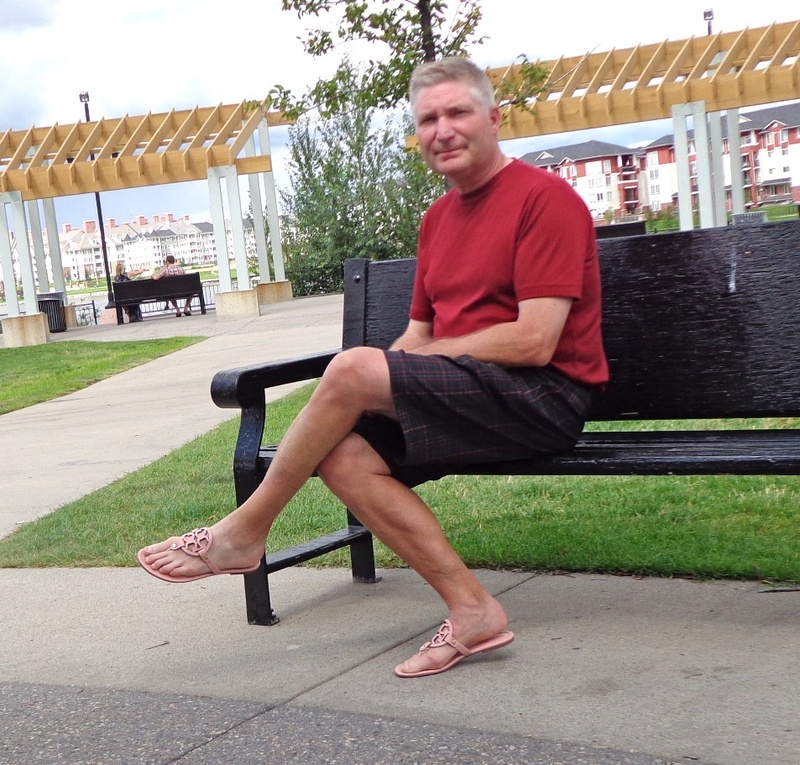 PS – I’ve had quite a few questions on my Tieks lately! I highly recommend them if you’re looking for a high quality flat that comes in numerous colors and patterns. They’re incredibly comfortable for all day wear and very travel friendly as they fold and fit quite nicely into carry-ons or checked bags. They take little to no time to break-in and I found they don’t rub uncomfortably on the back of my heel which I find to be one of the pain points in new flats. The one complaint I’ve heard about the flats is that the toebox is a bit shorter, so if you have long toes you may see more toe cleavage than other flats and, since the leathers are so soft, you can see the outline of your toes sometimes. Overall though, I definitely recommend them! I love the navy Tieks on you! And that bike is so fun!!! Thanks Kate. 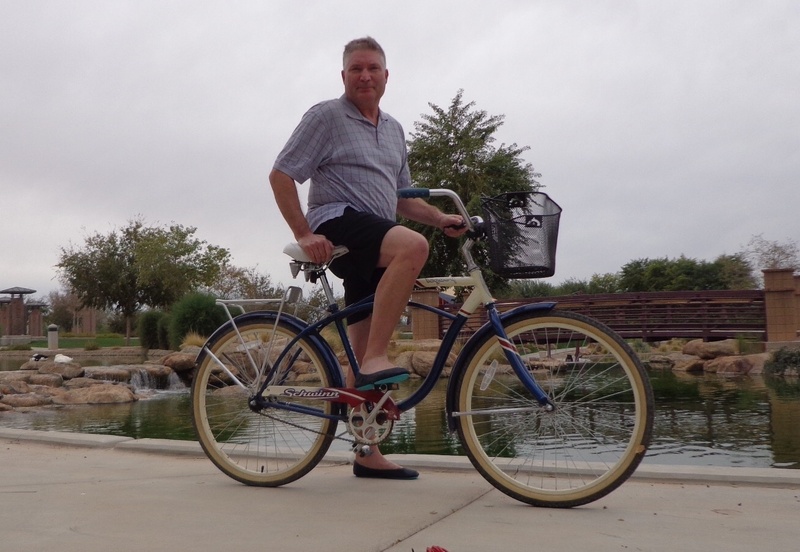 I love that biking, one speed with a basket on the front, perfect for me. Oh I love!!! Blush pink is so in for spring! 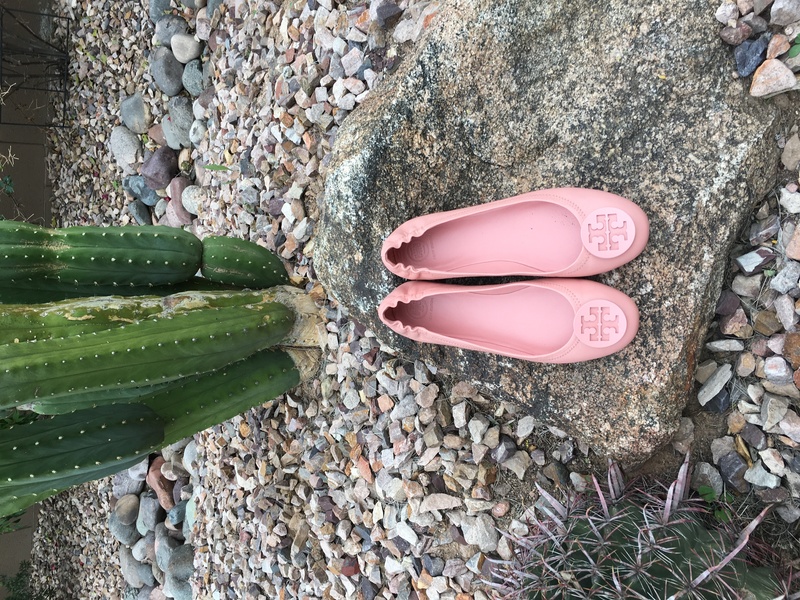 I tended to stay away from the blush pink and bolder shades of pink but last year my TB sales girl showed my a pair clay pink flats that she thought would work for me. Even though is a feminine color I like how it looks on me. This Spring when Tory release the Minnie travel flats in a similar color, I knew I’d be getting a pair. Blush pink is a good neutral! I love that shade of pink they look wonderful on you, they matche great with your skin tone, and with any of your outfit I love both the minnies and the miller sandals !! I wish winter ends to wear my flats and sandals soon like you !! Pink is fun !! Love the ballet-inspired look of these! Nice! Are those the same shade of pink? 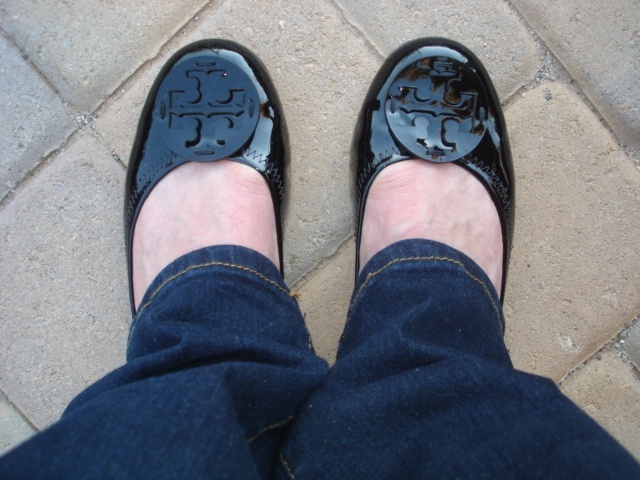 I’ve had a pair of the Tory Burch sandals before, love the medallion detail on the top! 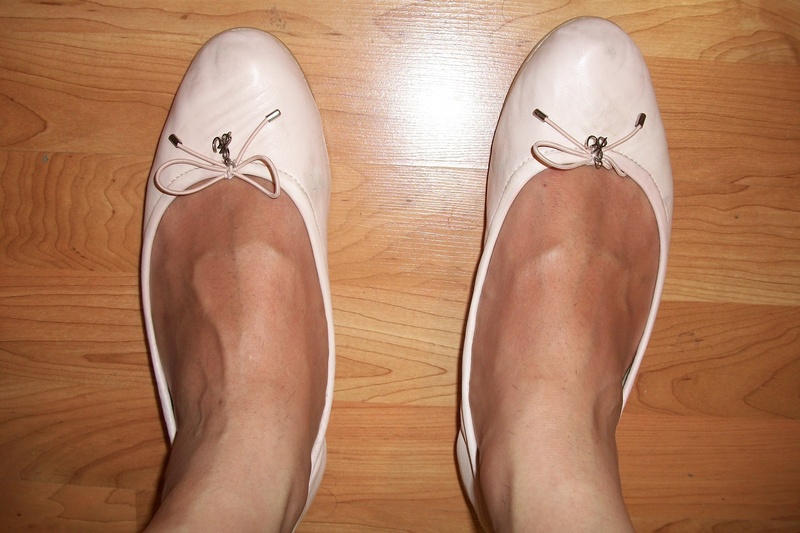 Although Tory has different names for the color of pink on these flats and sandals the shade is almost identical. Tory calls them clay pink or retro pink but she could also call them blush pink. I’ll have to take a picture of them all together to compare the shades of pink. Funny thing about my Tory Miller sandals. Two years ago when I got my first pair I wore them so much during the summer that they left tan lines of the Tory medallion on the top of my foot. It was like a temporary Tory tattoo on the top of my foot. You have the most amazing TB collection!!!! Thanks for your kind words Kate. 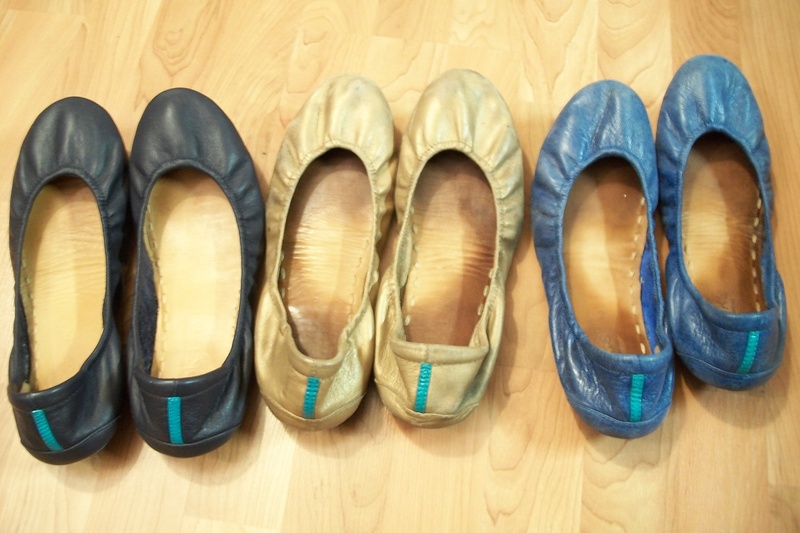 I started out wanting one pair of the classic Tory Burch Revas ballet flats and now I have a massive collection of different Tory styles in almost every color ever made. Even my collection of Tory accessories is growing. 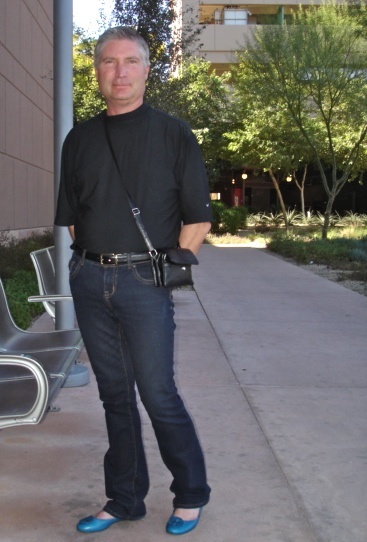 Jacket, belts, wallets, sunglasses and even a Tory purse. This was my first pair of Torys. The classic black patent Revas. I love the black patent! Definitely a classic. 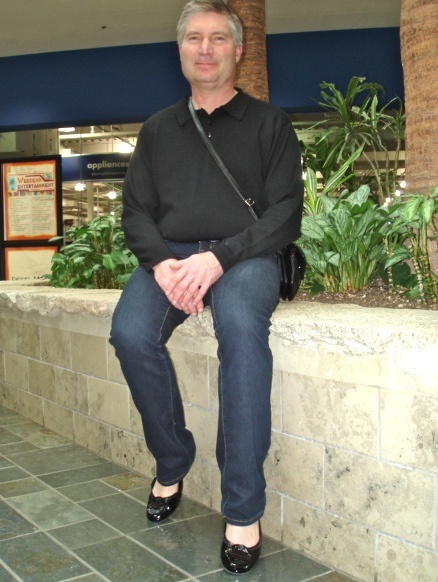 I don’t think I ever owned a pair of black patent Tory’s. Tory’s best client??? Thanks but I do know there are LOTS of women that spend way more than me on Tory goods. I also know there are lots of men that spend lots of money on Tory gifts for their significant other, but I think I’m the only guy that spends as much as I do on Tory items for myself. The black patent Revas were my first ever pair and I’m still amazed I ever bought another pair after getting them. I choose the black patent cuz I didn’t want anything too flashy, but the patent material was very stiff and hard to break in. The first few times I wore them they hurt so much I almost cried. Although they were painful I endured the pain cuz I loved how they looked on me and made me feel wearing them. Thats when to Tory flood gates opened and several more pairs followed. They’re definitely tough to break in, but once you get them broken in, they are so comfortable!! Were your pink/magenta patent pair hard to break in? Yes they were difficult to break in. I also had a light teal patent color which were also hard to break in! Even with the regular leather sometimes it can be a bit of a challenge, though not as much. Once again, we both agree. Patent is tuff to break in, leather not quite as much but once broken in the Reavs are amazing. I still remember reading reviews about the TB Revas and there were lots of women that didn’t have good things to say about them. (not sure how many of the guys that wear them feel. 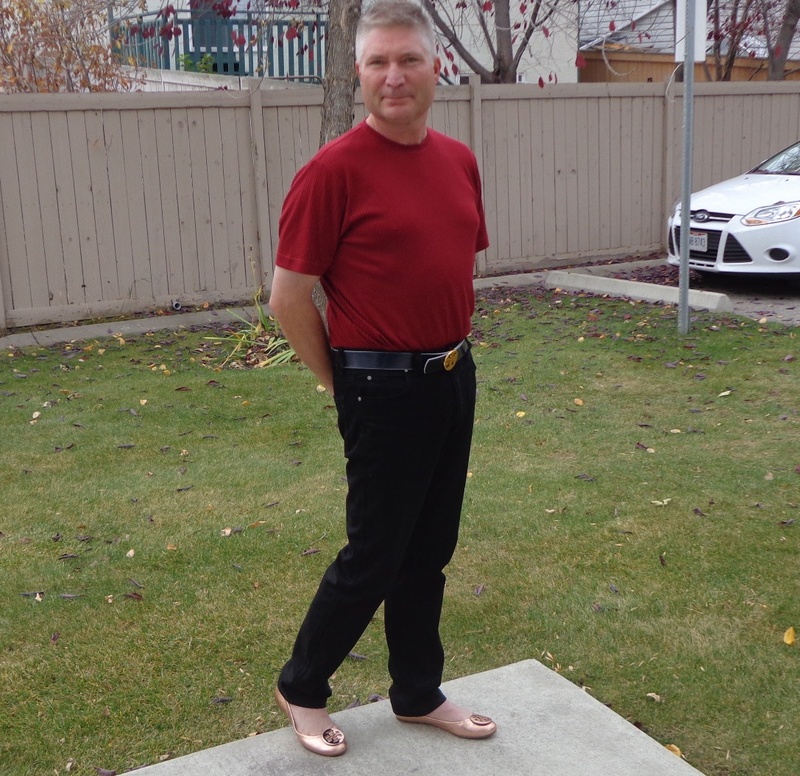 As odd as that sounds I know there are a handful of guys that do own a pair or two of Revas) My broken in Revas feel great. I wish snow and winter would gone now where I live 😉 nice way to coast into spring ! Yay Tieks! What colors do you have? I just got the hot pink and leopard print!!! I love that gold pair! What a pretty color! They go great with your leggings! !